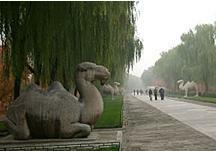 The Beijing Hutong has a very special and important position in the rich history and culture of Beijing. The Beijing Hutong is one of the "must see" items in Bejing. They are a wonderful glimpse into the world of yesterday in Beijing. 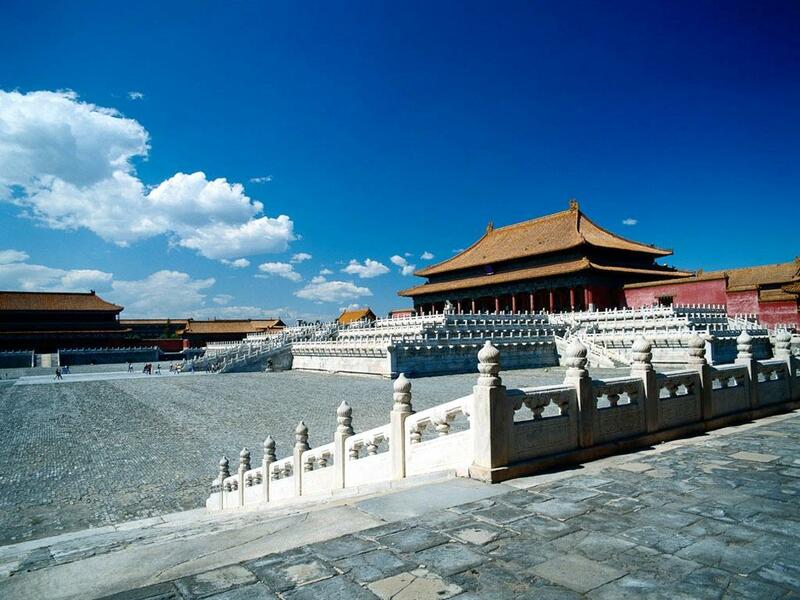 While visit the Beijing Hutongs, you can feel the dramatic changes of Beijing and you can evident the History of Beijing experence its life style and traditional culture. Beijing hutongs, lanes or alleys formed by lines of siheyuan (a compound with houses around a courtyard) where old Beijing residents live, witness the vicissitude of the city. The word "hutong" originates from the word "hottog" which means "well" in Mongolian. Villagers dig out a well and inhabited there. Hutong means a lane or alley, in fact the passage formed by lines of siheyuan (a compound with houses around a courtyard) where old Beijing residents live. Be care not to lost in it! It was recorded that in the Yuan a 36-meter-wide road was called a standard street, a 18-meter-wide one was a small street and a 9-meter-wide lane was named a hutong. In fact, Beijing hutongs are inequable ranging from 40 centimeter to 10 meter in wide. The longest has more than 20 turns. Either in east-west or north-south, Beijing hutongs varied as slant, half or " blind hutongs" cul-de-sacs. The gray-tiled houses and deep alleys crossing with each other in identical appearance like a maze, you will find it much fun to walk through but be care not to lost yourself. Beijing hutong, lanes or alleys formed by lines of siheyuan (a compound with houses around a courtyard) where old Beijing residents live, witness the vicissitude of the city. The word "hutong" originates from the word "hottog" which means "well" in Mongolian. Villagers dig out a well and inhabited there. Hutong means a lane or alley, in fact the passage formed by lines of siheyuan (a compound with houses around a courtyard) where old Beijing residents live. Be care not to lost in it! It was recorded that in the Yuan a 36-meter-wide road was called a standard street, a 18-meter-wide one was a small street and a 9-meter-wide lane was named a hutong. 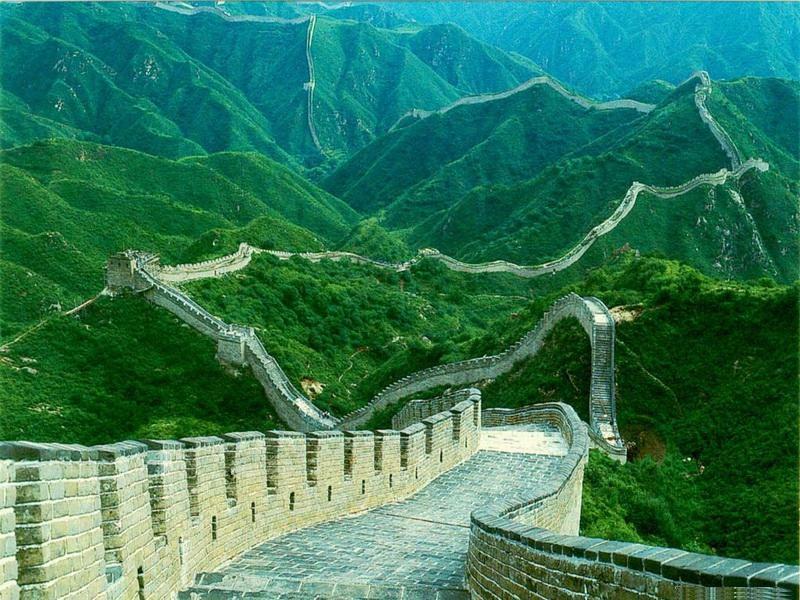 In fact, Beijing hutongs are inequable ranging from 40 centimeter to 10 meter in wide. The longest has more than 20 turns. Either in east-west or north-south, Beijing hutong varied as slant, half or " blind hutongs" cul-de-sacs. The gray-tiled houses and deep alleys crossing with each other in identical appearance like a maze, you will find it much fun to walk through but be care not to lost yourself. The name of a hutong implicates its origin, location or history. 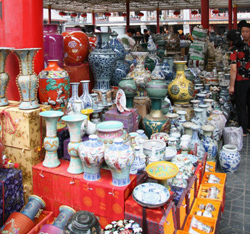 It is in the gray-tiled deep lanes that families play, travel, buy goods, gossip and connect. 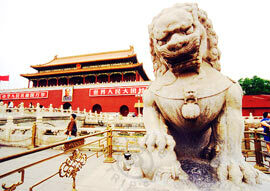 In Beijingers' eyes, hutongs means a period of history, a cordial lifestyle and even an "encyclopedia of Beijing". When a certain name was given and prevailed among people, it exactly became the necessary symbol for intercourses and communication. From the names of hutongs one can discover how Beijingers, in the course of centuries, advanced from vulgarity to refinement. In numerous hutongs are scattered the residences of famous personages, and these places are repositories. Laoshe, a well - known playwright is just one of them. Laoshe was born in a small lane, in the west part of the city. The memory of his childhood was so dear and impressive that after he'd been away from Beijing for more than 20 years, he still clearly remembered his birthplace, and he made it the backdrop of his novel "the Four Generations Under One Roof". 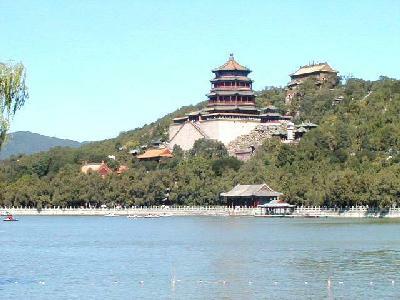 Many famous operas and dramas are based on the themes of the " hutong life". A visit to hutongs plus a drama by the Beijing People's Art Theatre, such as " Teahouse" or " Small Hutong" in the evening will help you appreciate the fundamental part of Beijing's life. When urban construction threatens the existence of these hutongs, some Beijingers become worried. The Dwelling compounds or quadrangles (Siheyuan) - the enclosed, one-story courtyard houses that make up old Beijing, feature a typical Chinese folk residential architecture. 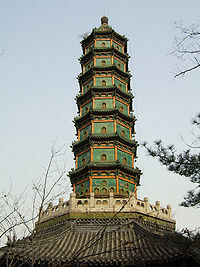 A standard siheyuan usually falls into a rectangular compound with one-story houses squarely facing the cardinal points and a courtyard in middle. A pair of stone lions usually stand in front of the vermilion studded door with a painted lintel on the top. The decorative patterns are flowers and birds. Stepping over a high wooden threshold, you will find a stone screen standing ahead. 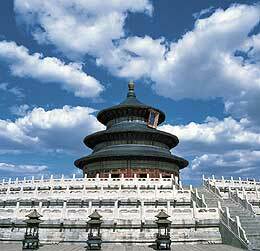 It is built to avoid direct inspection from outside and also believed to dispel evil spirits. Next comes the outer courtyard, flanked by rooms to the east and west. These serve as kitchens and servants' living quarters. On the northern end of the outer courtyard is the "Main House" which faces southward to get maxium daylight in 3-5 rooms. The up-turned eaves provide a pleasant shade in summer. One room located in the middle of the house is for living or community purposes with a smaller bedroom or studies beside it. Two passages on either side of the Main House, give entry to the inner yard. Rooms on each side were for married children and their families. Greenery planted in the courtyard makes an inner garden. Some large compounds have two or more courtyards, inhabited by an extended family with several generations. "Four Generations under One Roof", a novel by the contemporary writer Lao She, depicts Beijingers in the 1930s and 1940s living in siheyuan. Beijing still has about 400,000 residential quadrangles now, mainly distributed over the East, West, Xuanwu and Chongwen districts. The municipal government has earmarked a number of dwelling compounds for protection.